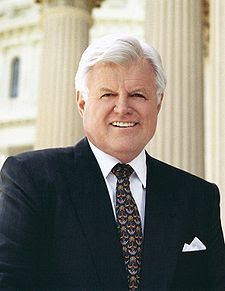 Ted Kennedy, according to Barack Obama, was one of the most respected people ever to serve in the U.S. Senate. In the following caught on tape in the following link, watch the man from Massachusetts, who served in the U.S. Senate for 46 years and served 8 terms in a wonderful 6 part biography that reflects his life. Also below the link is a video reflecting President Barack Obama reflecting on the life of Senator Ted (Edward) Kennedy.